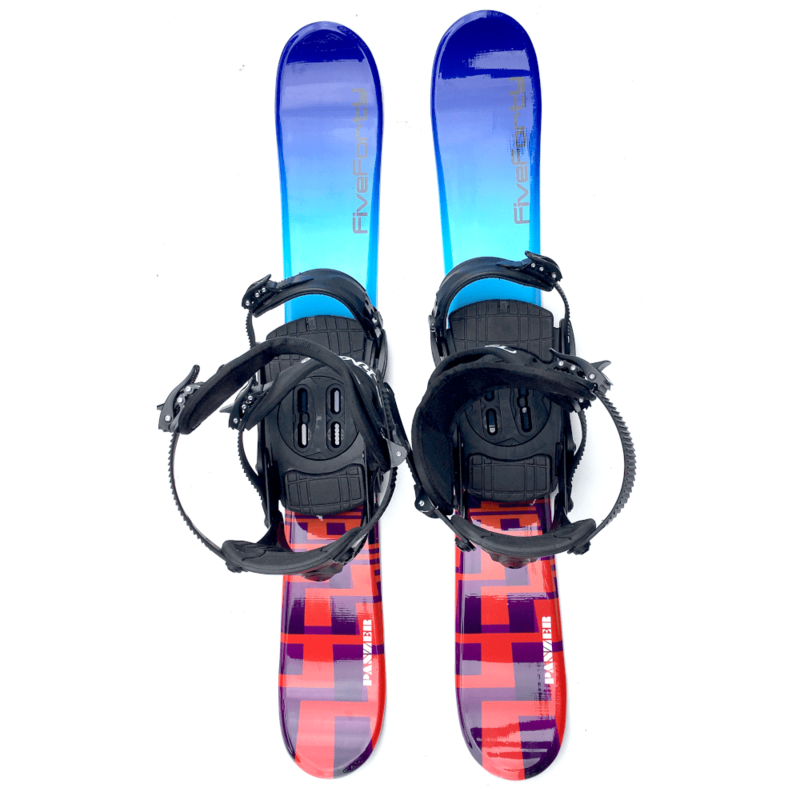 The Snowjam 75cm Panzer Skiboards w. Snowboard bindings 2019. Super fun. You can now ride skiboards with snowboard boots! The Snowjam 75cm Panzer Skiboards w. Snowboard bindings 2019. Super fun. We have carried Snowjam since they first came out and are always impressed with their quality (over a decade now). These are truly very reliable, durable skiboards. Snowjam wood core twin tips are very easy to turn, spin, go backwards and even ride powder. These are also stable at speed due to their thick wood core. These Snowjam 75cm Panzer Skiboards w. Snowboard bindings 2019 are an easy way to perfect your skills on the slopes as well as being super fun, much more like skating on snow really. These Snowjam 75cm Panzer Skiboards w. Snowboard bindings 2019 are twin-tip skiboards which offer an extremely short learning curve, with the potential to ride anywhere you care to go. The 75cm size is perfect for those preferring greater control and maneuverability, but don’t want to compromise on quality and performance. With their wide body shape, these are great on the groomers, moguls, glades or even powder. They are super fun to ride off the back tails and for spinning and riding backwards. Technine Custom Pro DS Bindings include the Summit Snowboard Binding Riser Kit to allow just the right elevation to carve deep turns. The Custom Pro DS Snowboard bindings feature 3 padded rachet straps and partial wrap cuff (double scruff) to hold you in place when carving. This allows a more stable interface between boots and bindings. The benefit of this is maximum power transfer to your skiboard edges with no lag. Custom comfort molded eva pads dampen vibration and provide grip to eliminate heel lift. Rubber cushions in front and back of plate allow full flex as well as dampening, yet do not inhibit “road feel”. Riser Kit features a circular disc that allows your skiboards to flex through the full range of possible edging and eliminates dead spots. Includes all hardware and two Leashes. Everything you need to mount and ride with snowboard boots on skiboards. Read More about performance with snowboard bindings. NOTE: These bindings are non-release and will not release in the event of a fall or collision and could result in serious injury.